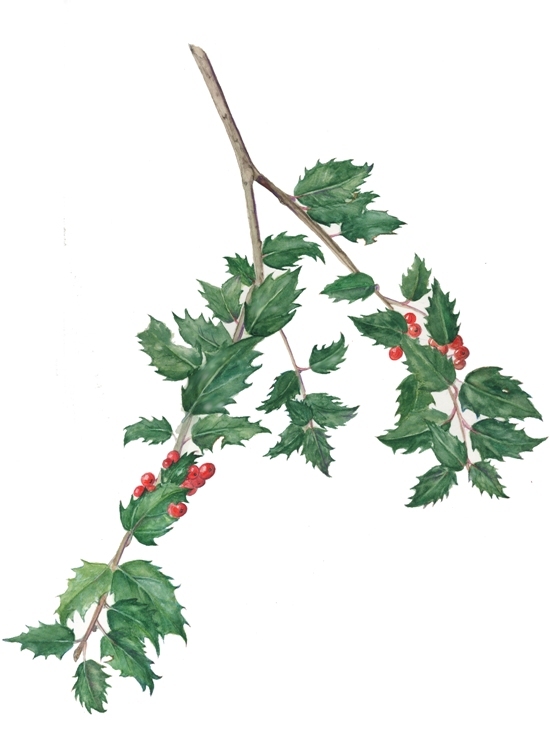 Paulette McDermott’s lovely holly branch reminds us that the holidays are right around the corner! Our Social Chairperson, Gail Diedrichsen has been doing a wonderful job coordinating the upcoming Nature Artists’ Guild Holiday Celebration, which will take place on Thursday evening, December 5th, 2013 at Thornhill. Please plan on arriving between 6 and 6:30 pm so you will have some time to help set up food and chat with your fellow Nature Artists’ Guild members before the festivities begin. All Nature Artists’ Guild members and their guests are welcome, but please RSVP to Gail if you haven’t already confirmed, so she can get an estimate of the number of attendees. Gail’s phone number and e-mail address can be found in your Yearbook.